SiteGround is a web hosting provider that offers shared hosting, dedicated servers, and cloud hosting. Its features include a free website builder, free site migration, WordPress and Joomla staging, unmetered traffic, and more. 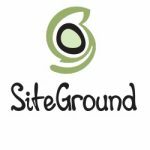 We compiled SiteGround reviews from our website and from around the web and determined that it has generally positive ratings. We also shared its available pricing options. SiteGround has three shared hosting initial subscription options ranging from $3.95 to $11.95 per month depending on the type of plan and duration of contract. Upon renewal, prices will increase to $11.95 to $34.95 per month. *Website transfer remains free for the client’s first website on GrowBig and GoGeek plans. Users who gave SiteGround a positive review said that the platform’s system and layout are easy to figure out. They also commended the support team for consistently providing excellent service. Users who gave SiteGround a negative review said that the jump from the initial subscription pricing to the renewal pricing is quite steep. They also suggested improving the aesthetics of the user interface, pointing out that the updated one is not that visually appealing. A user who left a negative review of SiteGround on G2 Crowd said that a lot of people must have been tricked to sign up because of the product’s low initial term pricing — only to find out after that the renewal pricing goes up to as much as 400%. What Is Web Hosting: Types & How to Choose a Web Host — You can choose among different types of web hosting based on the amount of traffic that comes to your site, the types of files you need to host (e.g. videos and images), and your budget. In this article, we provided an overview of the different kinds of web hosting to help you know which one is best for your business. Best Free Web Hosting Services in 2018 — For a simple temporary website, a free hosting service can suffice. However, for professional business use, it’s wiser to purchase a low-cost hosting plan with unlimited bandwidth. In this guide, we explored both free web hosting tools and low-cost options to help you decide which one to use for your business. Does SiteGround offer a free trial? There was no mention of a free trial on SiteGround’s website. Interested users need to contact the company’s sales team to know more about their products and services. Will I get a refund if I am not satisfied with SiteGround’s services? SiteGround offers a 30-day money-back guarantee for all of its plans. However, the company’s refund policy does not cover renewal orders, as well as payment made for domain names and domain privacy fees. What are the accepted payment methods for SiteGround? SiteGround accepts payments made using Visa, Mastercard, American Express, and Discover credit cards. Users can also contact the sales department via live chat if they want to use PayPal to pay for their hosting services. This video provides an overview on what SiteGround can do to protect websites from hacks. Not sure if SiteGround is the right fit for you? Read our reviews of all top web hosting providers or check out one of these three SiteGround alternatives. 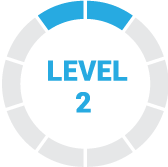 Siteground gives a great starting package rate for hosting and easy options to upgrade your account later on. The interface is relatively easy to navigate and the cpanel is clean. It offers convenient auto-installers for extensions such as WordPress and creation of subdomains, webmail, and backups which saved me a lot of time and learning effort. The staff was helpful in accommodating problems encountered in checkout. Overall, my experience in setting up my website with Siteground hosting was pleasant and quicker than I had thought it would be. Siteground’s renewal prices are very high and it seems they do not reward loyal customers with more affordable packages. It is hard to want to stay with Siteground when there are so many other hosting packages that cost much less and look equally appropriate for my website’s needs. I wish I had done more research on fellow hosting platforms. There are much long-term cheaper options to start out with which could save time and effort later on with having to switch over to a new hosting service. There is not too much to dislike about SiteGround. But they should focus on Customer Support; rather than providing solution they like to up-sell. I was using SiteGround but now we have switched from SiteGround to Cloudways. which is providing more benefits. SiteGround provides great uptime, competent support, and steady fast performance all for reasonable/competitive prices. Nothing that I’ve found yet. That they usually offer holiday sales to get cheaper hosting. In the three years I have had hosting with SiteGround, I have experienced 100% uptime. You can’t beat that! Their customer service is also excellent. When it comes to support, I much prefer using chat, and SiteGround’s chat response time is instant. With my previous host, I remember a lot of wait time. They also transfer your website from your previous host for free! So far, I have not found anything lacking with SiteGround’s services. SiteGround’s product information is so clear that there have been no surprises since I started using their hosting services three years ago. I love SiteGround and have recommended them to several people and will continue to do so. I haven’t come across anything they don’t do well. I researched them pretty well before I purchased, so I had no surprises. VP of Technology at LunaGraphica Inc.
SiteGround monitors and filters your outgoing email!